I've been repeating this same question every year since before Pat ever had to step down. Why do we leave 4 scholarships on the table every year. As far back as I can remember, the LadyVols have hardly ever had more than 11 scholarship players on their roster. I can understand why Pat did it. It's hard to keep them all happy with playing time but Pat's eleven were always tougher and very coachable. Monkey see - monkey do Holly has continued this pattern ever since she took over and all it results in are excuses from her every season. We're too young, the bench isn't deep enough due to injuries, etc. Many in this forum have questioned why they don't apply the full court pressure all game long since it does seem to be a strategy that works when deployed. You can't do it with a short bench for any length of time due to fatigue and having it turn into a negative outcome. This is just another glaring example of why a change is necessary. All Holly knows about coaching is how to mimic what Pat did, minus the player development and the winning. In all fairness, I believe even Pat would be challenged with the egos of these me me me players coming out of high school today, but only for a short time. She would sit their asses. All Holly knows how to do is kiss their asses. We actually leave an open scholarship every year? I did not know this. That is unbelievable to even think about. After a very brief google search reading about it – it seems to be a very weird trend in Women’s basketball alone …not just here. “Team Chemistry” and “Leaving an extra scholarship open for one unexpected player next season” seem to be the main reasons, but this legitimately blows my mind. I was a sport management major in college and this was never brought to my attention. I’d imagine this is a very well kept under the rug secret. It’s so funny to me, if they tried to take just one extra scholarship from the womens hoops team to football, there would be a national uproar. Protests, people lining up in the streets going nuts..ect. But the fact that these schollys are essentially lit on fire and thrown in the trash, nobody cares. Pretty wild to me.. seems like the NCAA needs to address this and maybe give the extra scholly to softball, or any other of the womens sports that have less schollys to give out then players on the active roster? You have a good point a short bench will not cut it. I think we stick around 12 to keep everybody with at least some playing time. 15 is probably going to result in some transfers and hopefully we never start that letting players leave just to make room for another player. 12 is enough if you sign the right mix of players and develop those players into a team. For its game vs. Charlotte on Saturday, UTEP had just 6 available players (matching what Vanderbilt faced earlier this season). The Miners are dealing with several injuries, plus freshman guard Conchi Satorre left the team, returning to Spain. I see no issue with this, most good teams only go 7, maybe 8 deep anyway. Having 15 young women on one team turns into personality conflicts, limited playing time and transfers. The chemistry issues and playing time concerns explain a lot of this broader trend. For the LVs, a lot goes back to three years ago, when the LVs did not sign any of their recruiting targets and signed Harris as a stopgap measure. That created a deficit that is not easy to close. Recruiting is very competitive and sometimes you can't sign a big enough of class to cover the previous shortfall without lowering standards on player quality. The LVs have two high quality and reasonably large incoming groups over the last two years. Not recruiting well 3 years has been a handicap but that shortfall is probably the least of the LVs problems right now. Some haters just gonna hate about anything. Just looking for reasons. Poor soul. The transfers out have hut the talent level but should have increased the chemistry of the team. The players who are a very young team playing the best are in either their first or second year, except for Green, the center. I thought the team played a pretty good game against LSU and with the # 2 player coming in next year, we may have a competitive team, especially with KK beginning to play better. I think we still have way to many TOs and need to play much better defense to compete for one of the top three spots in the SEC. It will be interesting to see if any mobile post players sign in the next year or two. When you are getting your shot blocked by a 5-8 player you have a long way to go. The five spot should she open and up for grabs. 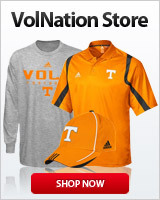 Can someone tell me the recruiting budget for the Lady Vols? Where can I find that? If we used more than 11 schollies maybe we could find more than 2 shooters. I just want shooter/defenders (natural shooters and tough defenders). I teach them an offense. I teach them to take care of the ball. I teach them aggressive help side defense that traps on the baseline. I'm no coach, but that's what I'd like to see the coach do. Are there any softball stars that we could put on basketball scholarship? Teams with smaller benches are usually more successful than deep teams. Look at UCONN and Notre Dame when they've won titles. Or Tennessee in 2007 and 2008 when they rarely went deeper than 7 come tournament time. In 1998 the rotation was 7-8 deep. Bench depth is nice to have and helps big time when there are injuries or unexpected transfers, but the 9th-10th players in the lineup usually don't make the rotation. That player is low on the depth chart because they aren't as good, or they're talented but still one of the last players off the bench and end up being a risk to transfer. This year the problem isn't talent or depth, it's coaching. Nothing wrong with adding a few good Juco players to the bench. Especially when short bench team is loaded with Freshmen and Sophomores . Jucos have stood a certain amount of the test of time. Teams with smaller benches are usually more successful than deep teams. Look at UCONN and Notre Dame when they've won titles. Few top tier teams aim for 15. Both ND/Baylor have big freshman classes but none of their freshmen are starters or get a ton of playing time (sans Nalyssa Smith). UCONN has zero depth this year but is still managing well.